In this idiosyncratic graphic sequel to Honor Girl (2015), Thrash (also author of the deeply fabulous We Know It Was You) mixes memoir with fiction to convey vividly the intensity of growing up. A year and a half on from Honor Girl, Maggie is now a junior at an elite Atlanta school and feeling isolated and depressed: her grades are plummeting and her classmates are completely indifferent when she outs herself. Things are no better at home where her mother seems to want a different daughter (“You’d be very pretty if you weren’t so determined to be weird”) and her father is wrapped up in his work as a federal judge. Through her recognizable slightly childlike pen and water color pencil illustrations Thrash explores the overpowering feelings of being a teenager: the absolute ennui of an afternoon at home, the thrill of flirting, the horror she feels when she sits in on one of her father’s court cases. The characters’ faces and bodies, often just a few lines, wonderfully convey this wealth and depth of emotions. 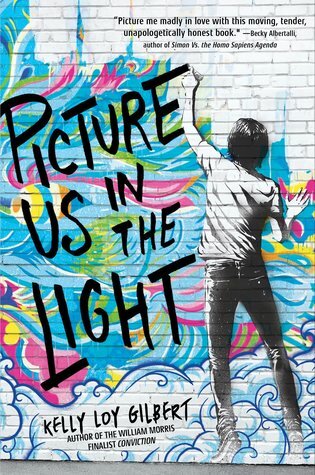 Ideal for readers going through, or reflecting back on, the turmoil of adolescence. Everything is out of joint for 12 year old Izzy Shepherd: her father, who now lives with his new wife in Boston, doesn’t seem to pay any attention to her anymore, and her uncle and his 10-year-old son Oliver are staying with her and her mother after Aunt Felicia killed herself. Now the reputedly mean 16-year-old Ben Gustino is staying in their basement while his father, her mother’s new boyfriend, is out of town and his mother has left them in live in California. Initially Izzy is a bit of a pill about this, as you might expect any tween to be – all the changes imposed on her and out of her control are upsetting. It’s only when Uncle Henderson disappears, and she, Ben, and Oliver run away to search for him, that she starts to develop empathy for the situations of the other two and realizes that though her life is tough, Ben and Oliver have it much worse. As she and Ben bristle at each other, they bond over their shared desire to lessen the load for Oliver and realize that they have much more in common than was apparent. Izzy is an aspiring comedian and as she relaxes more with her new family, her gift shows and she finds the power to make people laugh can be cathartic, though her touchpoints of Jerry Seinfeld and Ellen Degeneres feel a little dated (And as a Brit I have to tell you that Jerry Seinfeld is also just not very funny). The adults are realistically shown as broken by the loss or separation from their spouses and can be selfish, make mistakes, and fail to understand what is going on with their children, though ultimately (and don’t forget that this is a middle grade book) their hearts are in the right place. Izzy’s mother, in particular, seems a bit clueless, not realizing the burden her daughter is under or the troubles that Oliver is having at school. Her expectations seem unreasonable to Izzy and maybe even to us – why is she so much more sympathetic to Oliver and Ben? It’s only the kids who appear to understand the weight they are all carrying and that the face people present to the world may not be who they really are. 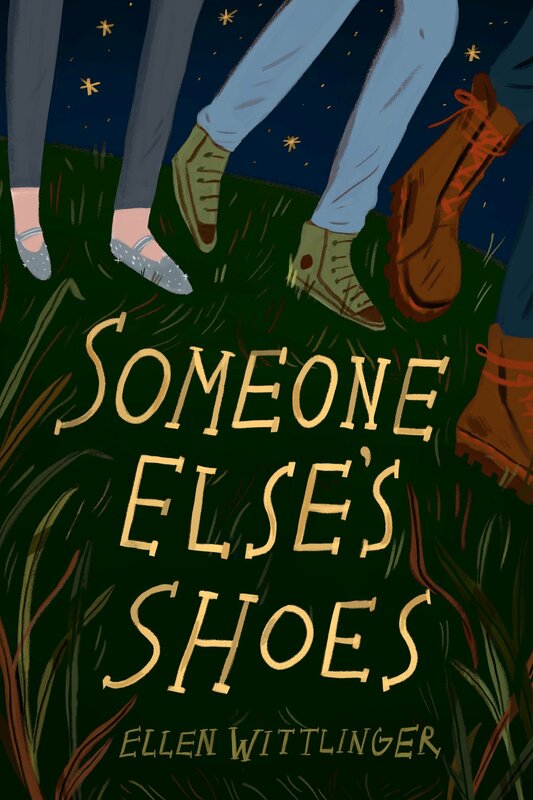 This is a decent book about loss and empathy that will appeal to middle grade readers who enjoy sad realistic stories with (not necessarily entirely credible) happy endings. Lauren Oliver has switched between realistic fiction and sci fi, but the common thread is always young women pushed to their limits. 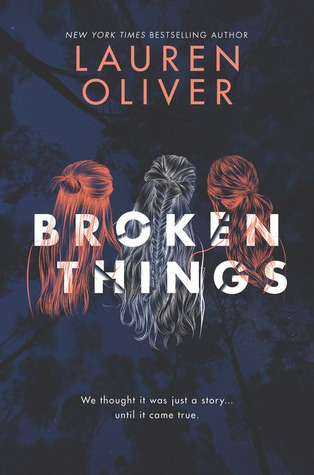 I’ve been a fan since Delirium way back and I think this new one is a perfect encapsulation of Oliver’s talents as a creator of credible and nuanced characters, sharp plotting, and an atmospheric setting. Five years ago in Twin Lakes, Vermont, 13 year-old Summer was murdered in an apparently ritualistic way. Her two best friends, Brynn and Mia were suspected but never charged, as was her boyfriend Owen. Since then, as they’re still seen as the “Monsters of Brickhouse Lane”, Brynn has hidden away in unnecessary rehab facilities, Mia has withdrawn, and Owen’s family moved abroad. But now on the five year anniversary of her death, the teens are all back in town and starting to work out who the real murderer was. So far, so Kara Thomas which in itself is an excellent recommendation. Layering on top of this, the murder seems to be linked to an old children’s fantasy book called The Way into Lovelorn which the girls were obsessed with and wrote a sequel to, and which seemed to have come to life for them. The narrative is split between Mia and Brynn and Then and Now, and a picture is built up of lonely “broken” girls on the fringes of their communities: Summer was with a foster family, Mia got so anxious she couldn’t speak, and Brynn expressed her rage through fighting. But together they made sense and Lovelorn helped them to do that. But when adolescence hit Summer and Brynn, Mia felt excluded and Summer’s attraction to older boys left the other two behind and Lovelorn is abandoned. 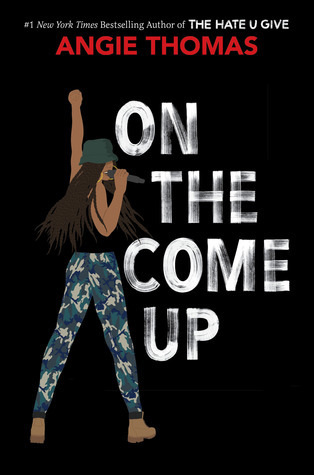 As with her previous realistic novels, the author does an excellent job of vividly drawing an insular small-minded community, and the pressure that brings on teen girls who don’t conform and the murder mystery on top of this works well. The plot is neatly worked out as the teens (all significant characters in this book are white) unearth clues, both in real life and in the fanfic they wrote. A satisfying resolution is reached without stretching credibility, and both Mia and Brynn are on the road to dealing with their lives now that the weight of suspicion is off them and they can reach closure about Summer’s death. 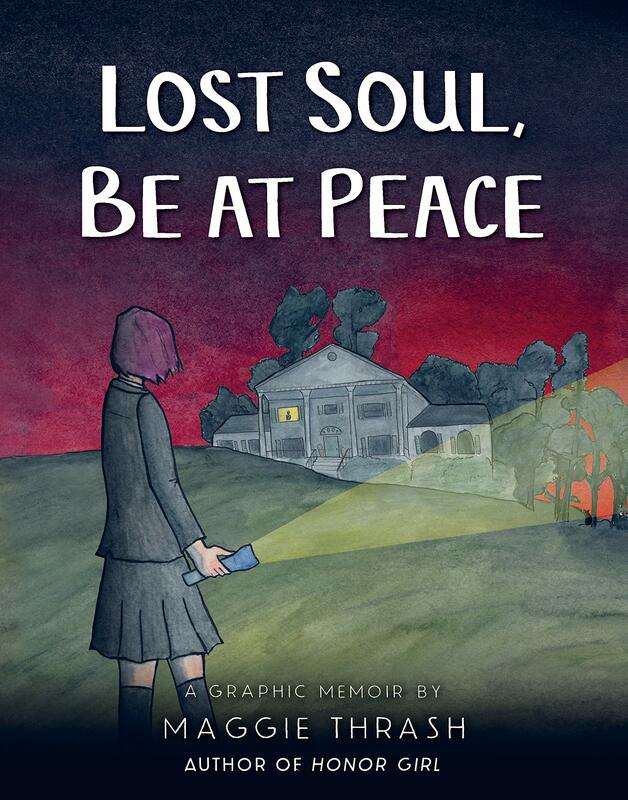 Perfect for teen readers who enjoy mystery and/or realistic novels with a side of creepiness. Thanks to HarperCollins and Edelweiss for the digital review copy. Kelly Loy Gilbert (Conviction, 2015) has written a perceptive and subtle realistic novel, set in the Asian American community of Cupertino in Silicon Valley, a setting which allows her to explore not just what it means to be second generation Asian American but also other identities within that of economic status, immigration status, religion, gender, and sexual orientation. Two deaths cast a shadow over senior Danny Cheng: those of his sister who died before he was born and Sandra, a friend who committed suicide last year. But his life now seems to be on an upswing: he has been accepted with a full scholarship at his dream school, RISD, and has some sketches on display in a gallery. But when he finds a box of papers hidden away in his father’s office, he opens the proverbial Pandora’s box. Narrator Danny is a very much a teen – he can be selfish, impulsive, and makes some poor choices. He sees the world through art and often comments on how he would approach a drawing of a moment and what he would want to capture, and his touchstone, and the leitmotif of the novel, is the centrality of human connection and entanglement. There is a minor dual narrative that’s written in the second person, addressed to his sister which fills out the family history. Danny’s relationship with his parents is authentically complicated and beautifully drawn. They are immigrants, much lower on the socio-economic scale than most of the other families at the school, and still bring their customs and attitudes from China. Though they are fiercely proud of their son and his achievements, they are torn between two cultures and have guilt and secrecy etched into them. The other significant figures in Danny’s life are his friends, Harry and Regina, and his friendships with them are also fractured and challenging with clandestine depths. As Danny pursues the truth, doubting his quest even as he won’t drop it, the past of his family falls into place and, against the odds but entirely organically, there is a feeling of hope and resolution. Though set in a very specific community, the author has created characters and themes that will resonate with all American teens. 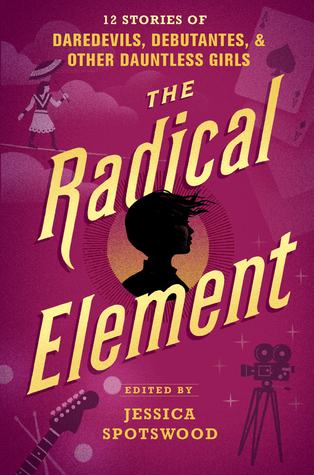 This is the second collection of feminist stories edited by Jessica Spotswood, following on from A Tyranny of Petticoats: 15 Stories of Belles, Bank Robbers & Other Badass Girls. I don’t usually read short stories (and I haven’t read Tyranny) as I find the form a little unsatisfying but the title appealed and I picked the book up for review. The majority of stories are about the catalyzing events that crystallize these desires and usually end with the young women preparing to make it happen. In endnotes, each author shows how she has brought her own background and philosophy to her story, making for a deeply personal and heartfelt collection. Because the stories are similar thematically, there is a synergy in reading them together as a collection. Though all stories are readable, highlights are Better for All the World by Marieke Nijkamp about Carrie, an autistic girl who wants to study the law in 1927 Washington DC and The Belle of the Ball, set in 1952 Brooklyn, by Sarvenaz Tash, in which Rosemary finds a route to pursue her dream of writing comedy. Perfect for readers who enjoy the quick hit of short stories and are interested in seeing history from a different perspective through exploring a wide range of intersectional feminist outlooks. Drawing from her own experience as an Argentinian in Alabama during the watershed years when schools were integrated, the author has created a wonderful, lively, and warm-hearted story about 6th grader Lu Olivera, set in fictitious Red Grove, Alabama in 1970. In the first year that her school has included black students, Lu sits in the middle row of her classroom between the black kids and the white kids. Middle rowers don’t exactly belong to either group: “our moms and dads believe in equal rights and all that good stuff” which makes them “ weirdos” to some people. Lu is torn between her previous unknowing comfortable old life when she was friends with white Abigail and Phyllis, and the scary new ground of being friends with black Belinda. She’s becoming politically aware as the election for the governor plays out between moderate Albert Brewer and racist George Wallace. Lu’s older sister, Marina, works for the Brewer campaign as well as being involved with the anti-Vietnam war campaign. On the personal front, Lu finds out that she is a really good runner which upsets the status quo at school and causes some conflict with her conservative parents. She is also attracted to white Sam, whose parents have been big supporters of integration and civil rights. As more of the white kids move over to private white-only East Lake Academy, Lu finds she is no longer content with sitting in the middle – she has to take a stand. And she has to persuade her parents to let her go to track camp in the summer so she can join the track team with Belinda in 7th grade. 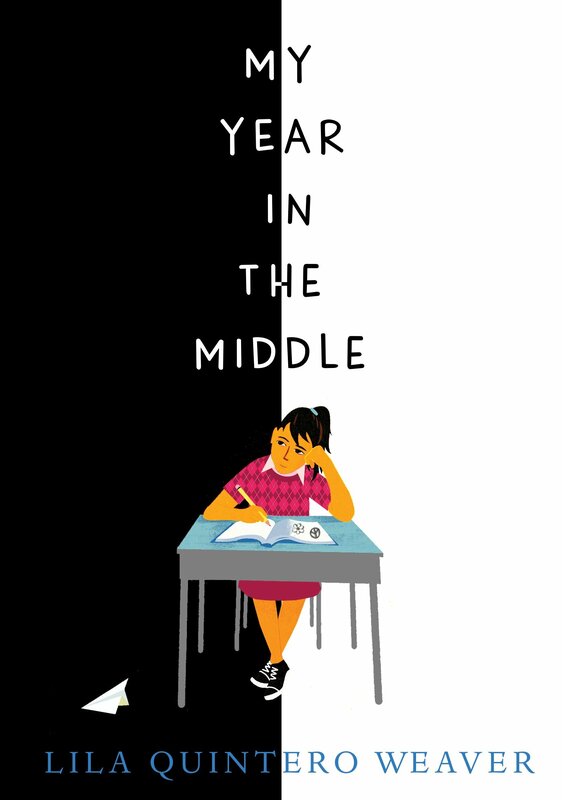 The author does a terrific job of showing Lu’s personal and political growth over the course of a few months, while keeping her voice entirely appropriate for a smart, curious, and slightly naive 12-year-old. There is a lot going on in the novel, but the author skillfully weaves all the storylines together to give a whole picture of a young girl growing up at a challenging time in a challenging place and finding her own conscience. A great read for middle graders interested in social justice. Thanks to Candlewick for the ARC.